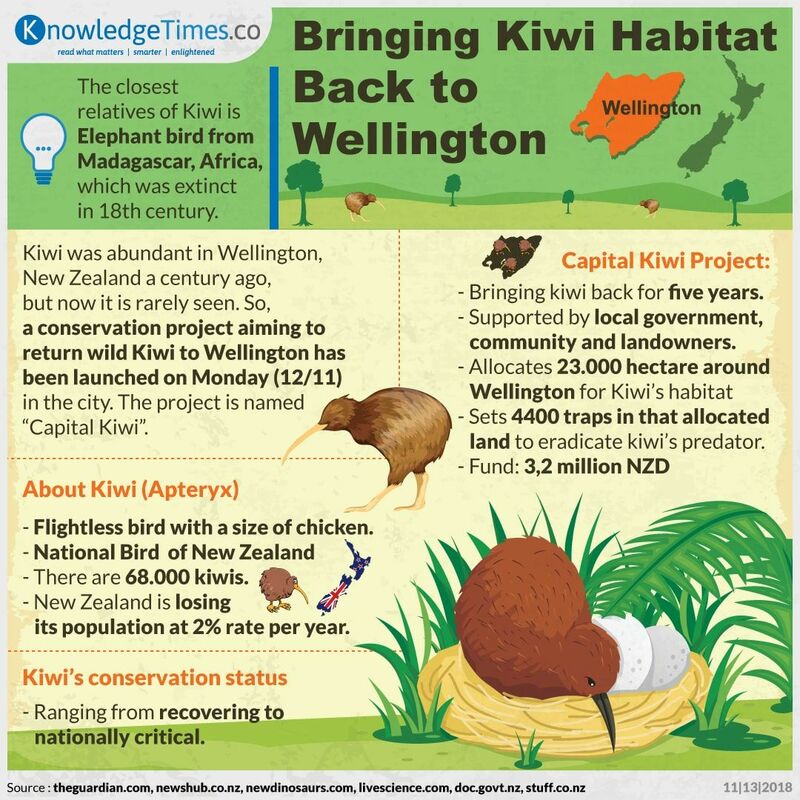 A project had been launched on Monday (12/11) in Wellington to bring Kiwi back to city’s suburbs, called Capital Kiwi. They aim to return Kiwi to Wellington in five years. This highlights New Zealand’s efforts to conserve their nature and save their endemic fauna.